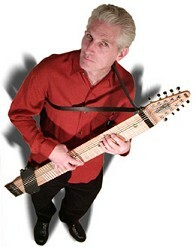 Don Schiff is one of the busiest Stick musicians around, recording his own material as well as recording/performing with a laundry list of other artists. In addition to being a seasoned veteran of the Stick, Don was the first to embrace the NS/Stick co-designed by Emmett Chapman and Ned Steinberger. 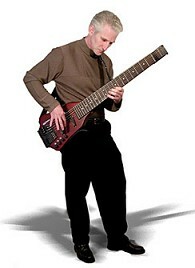 Having developed his expertice on the early prototype models beginning in 1997, Don was already an expert on this new instrument when it was released into production in 2000. In early September, Don will be touring with singer/songwriter Stacia to promote her new album which Don also recorded on. Additionally, Lana Lane, another of Don's regular gigs, will be releasing a new album for Japan in September or October. Lastly, Don will be performing with Rocket Scientists at a special performance in October in Thousand Oaks, California. You can visit Don Schiff on the web at www.donschiff.com. For more about Stacia, visit www.staciamusic.com. For more about Lana Lane and Rocket Scientists, visit www.thetank.com. You can also read two interviews with Don Schiff right on our own interviews page and find out about Don's first solo Stick and NS/Stick release Timeless on his section of our CDs page.